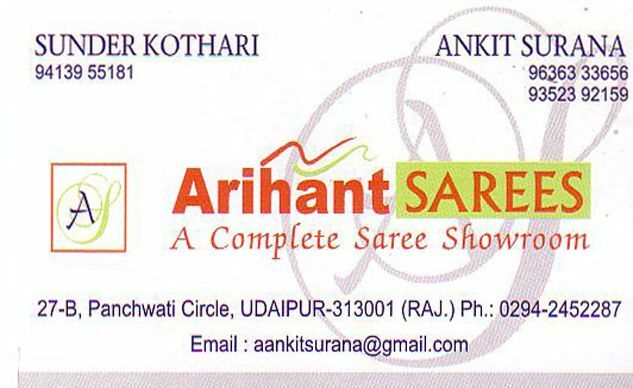 Arihant Sarees is one the well known and exclusive saree showrooms in Udaipur. They have huge range of designer and fancy sarees. For your events, wedding, functions, party, they have beatiful sarees in a selected range of designs and price.